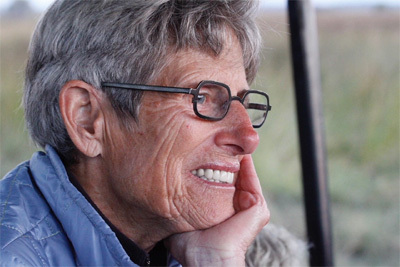 Our friend Barbara Bailey died this weekend, and Seattle grew suddenly dimmer. Few things challenge our sense of mortality and purpose more than the death of someone who seemed immortal. Barbara was such a person. Born and raised here, she loved Seattle and poured herself into making it better. Barbara was relentless in everything she did. Her determination was a strength and was her most defining characteristic. Barbara’s commitment to action made her an early pioneer for LGBTQ+ rights. Her bookstores – B. Bailey Books and Bailey/Coy Books – were nationally beloved independent book stores that regularly brought communities together and hosted renowned authors. They were also safe and welcoming spaces for the LGBTQ+ community, particularly for those just coming out and during the height of anti-LGBTQ+ actions. In Barbara’s bookstores, there was no shame and nothing secret or hidden – “our” books were placed prominently next to all the New York Times best sellers. Barb warmly welcomed everyone to the store, often loudly with a laugh, a hearty greeting or an exclamation about the latest political outrage. Barbara championed civil rights here in Seattle for communities of color and for the LGBTQ+ community. From the AIDS crisis, to the fight for equal rights, to marriage equality – Barb was on the front lines helping in any way she could and was always leading with her energy and her heart. She hosted countless fundraisers for organizations, candidates and causes close to her heart. There was no job too big or too small for Barbara Bailey. Throughout her life, Barbara was most relentless in her positive nature and her love of friends and family. She built community, forged connections and reveled in the accomplishments of others. Whether through walks at Cal Anderson, gatherings at her house or the crew at Chevy – Barbara Bailey built a large extended family. She made every individual know that they were singularly important. We all thought we were her favorite. She cheered on public good and fought against any injustice. Her mark on Seattle cannot be overstated; Capitol Hill would not be Capitol Hill, were it not for Barbara. She went to school there, lived there, built a business there and cheered the neighborhood on like few others. No LGBTQ+ person would have been elected to any office in this region were it not for Barbara Bailey. She always stood by her principles, and she inspired others through her work. She made life so fun, for so many along the way. Her absence is so hard to bear, and we will miss her even more than we know. Always and forever, she will be an incredible example of a leader who demanded equity, justice and fairness for all.